Wm. Masters, Inc.: Is your air conditioner 'shot'? This air conditioner is 'shot' - literally! 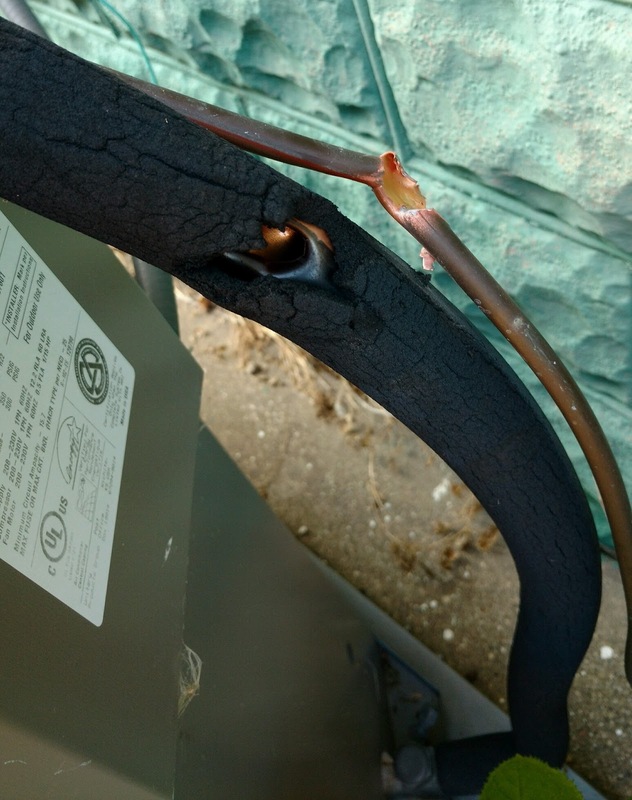 This customer's neighbor accidentally fired a gun and the bullet hit the refrigerant lines!